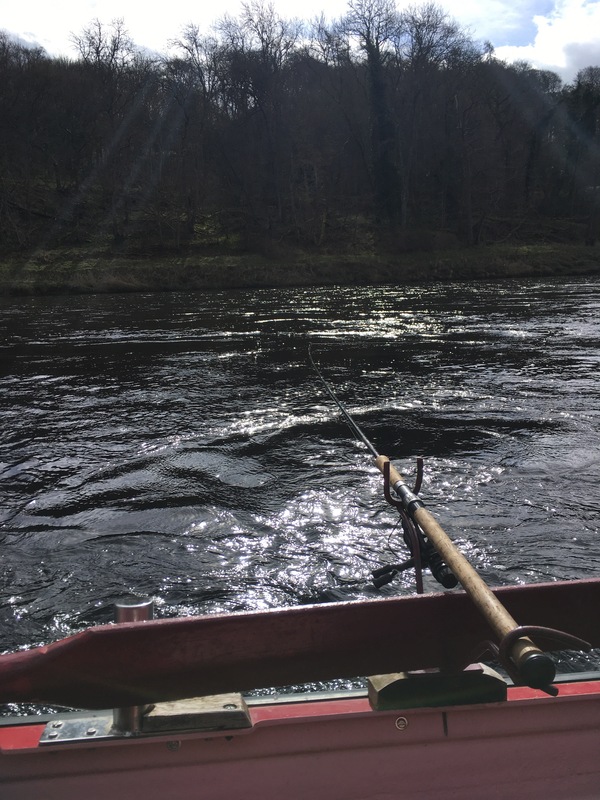 As if a four day trip to Scotland to fish the Tay wasn’t enough young Tales couldn’t wait to get back out on the water. 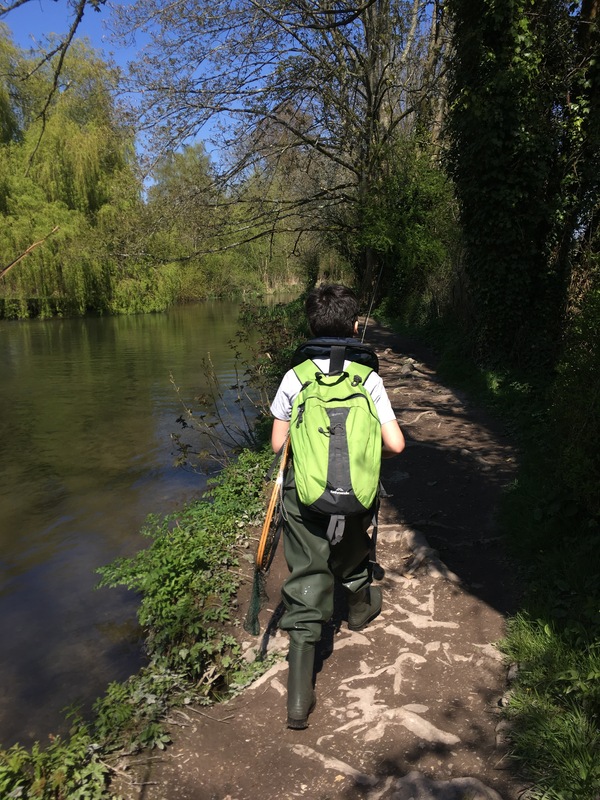 With fine weather forecast we put a small amount of tackle in the back of the sliver arrow and headed south down the M3 to fish the River Itchen. Driving along under a clear blue sky we arrived at our destination after just over an hour. We parked on the bridge across the river, tackled up and headed up the narrow path that had been clearly trodden by many. A touch of colour filled the river so it was difficult to see any fish. 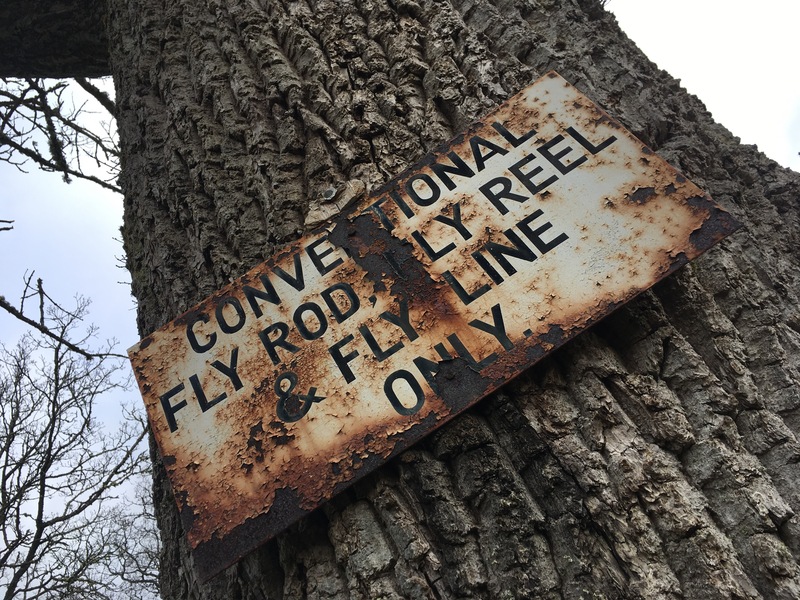 Young Tales was set up with a short #4 Sportfish rod paired to a Heddon 300 reel, basically a copy of a Hardy Featherweight reel. Armed with a light tippet and a small haresear dry fly. 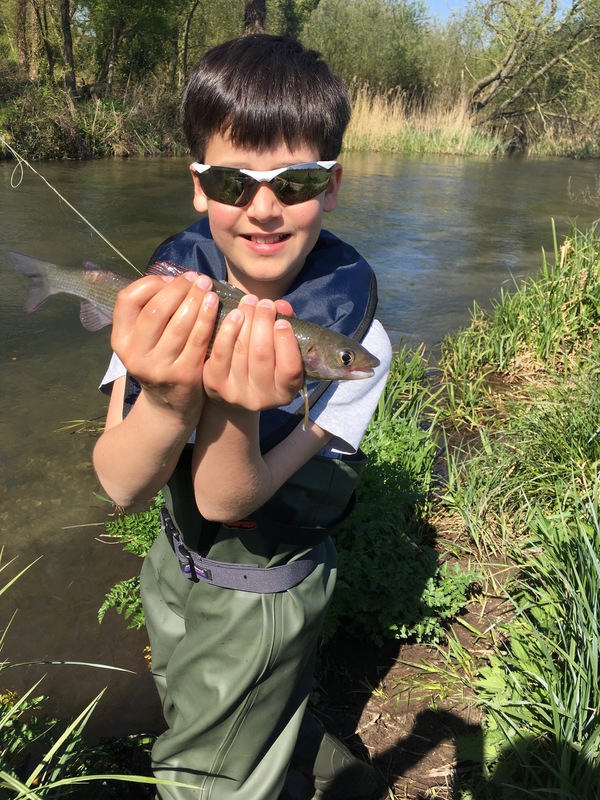 Not long into the fishing he was into a small Gayling, this time he managed to net the fish in his own. It was interesting to observe how he is mastering the sport and with each outting he demonstrates his ability to do things just right. His casting even gets comments from passers-by as they admire his finness. With bright sunshine all day the fish were tucked away in the far margin and under any overhanging tree. By mid-afternoon the sport had died off a bit a few takes to out offerings. Observing the water there was a sudden commotion as several small squares of bread floated downstream, the water erupted as fish came from the depths to take such offerings. An element of frustration could be seen on young Tales face. With a change of fly still nothing, for the next hour we moved few fish. I decided to lengthen the leader of my young companion and switch to a CDC olive emerger which started to get things moving. Within 20 minutes another couple of small Grayling put a smile back on his face. 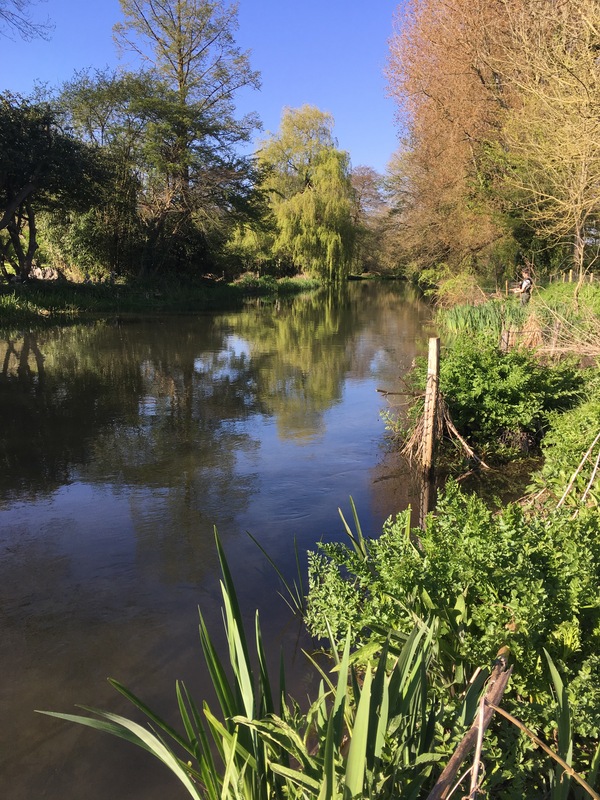 The hours had passed all too quickly but a day in the sun by a Hampshire chalkstream can’t be beaten especially when graced by the odd dart of iridescent bright blue of a Kingfisher. 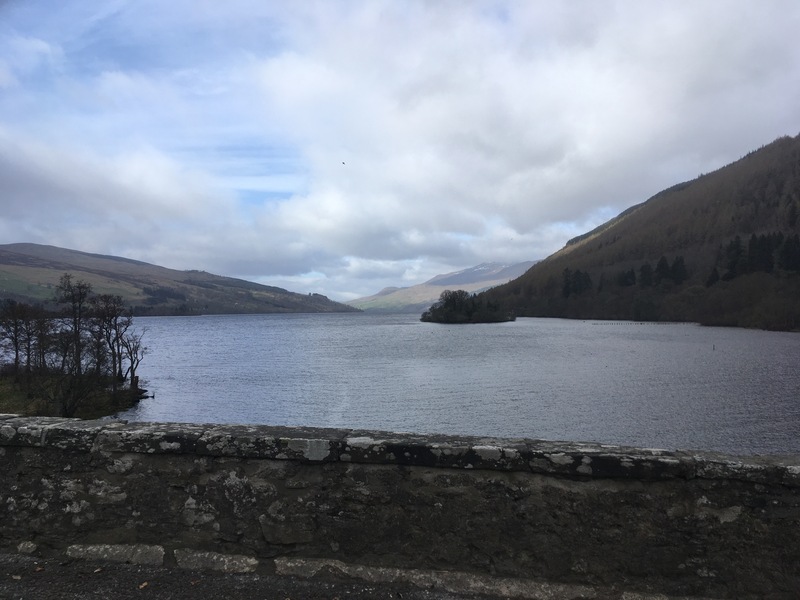 The wind had set in and there was a chill in the air blowing along Loch Tay from the distant snow capped mountains. We fished several named pools but not a fish to be see all day. 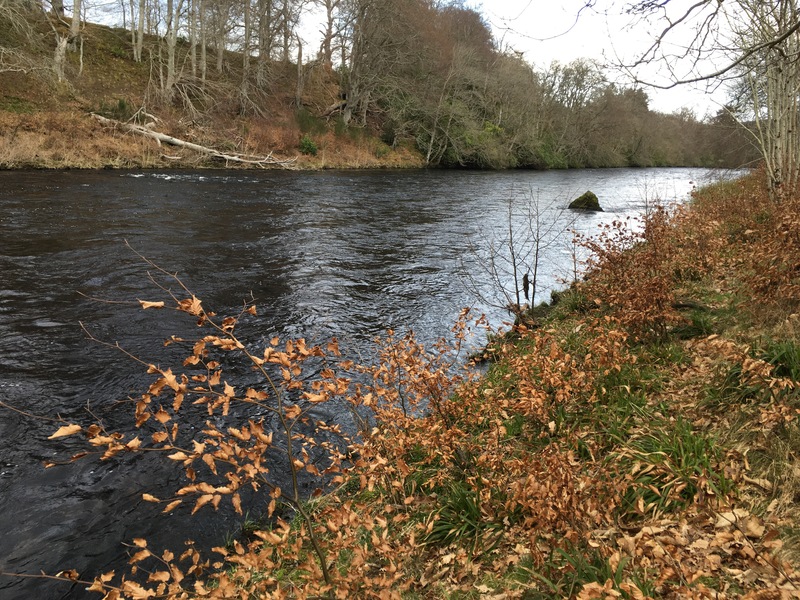 At least yesterday at Cargill we saw fish break the water not a ripple today on the Upper Tay. However on Friday an 18lb Salmon was caught. Having fished the morning and then decided to take a break before fishing early evening at the Chinese Pool our luck didn’t change all day. My young companion kept his resolve to fish till last knocking but nothing to my fly or his Rapala. Hopefully tomorrow brings new hope and a sense of optimism filled the air as we reflected on our day. 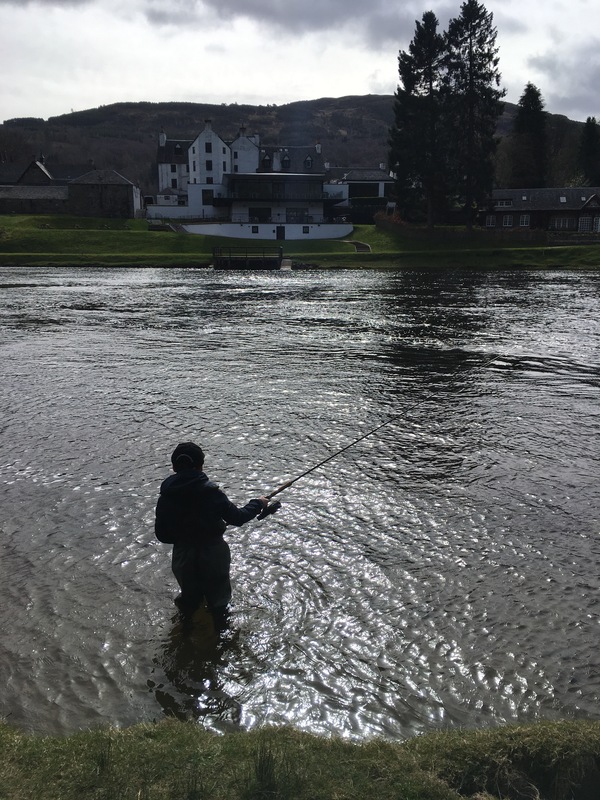 A mere 18 years have past by since I last fished the River Tay at Kenmore. 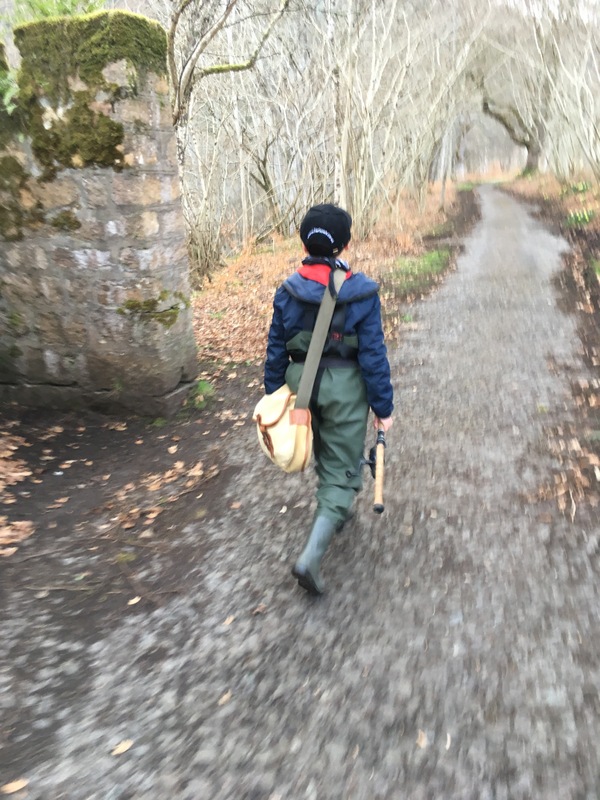 Now I’m back with young Tales fishing the Tay and hopefully cementing memories that will last a lifetime. Ever since I mentioned to my young fishing companion that we would head north of the border for a few days fishing he has spoken of little else. 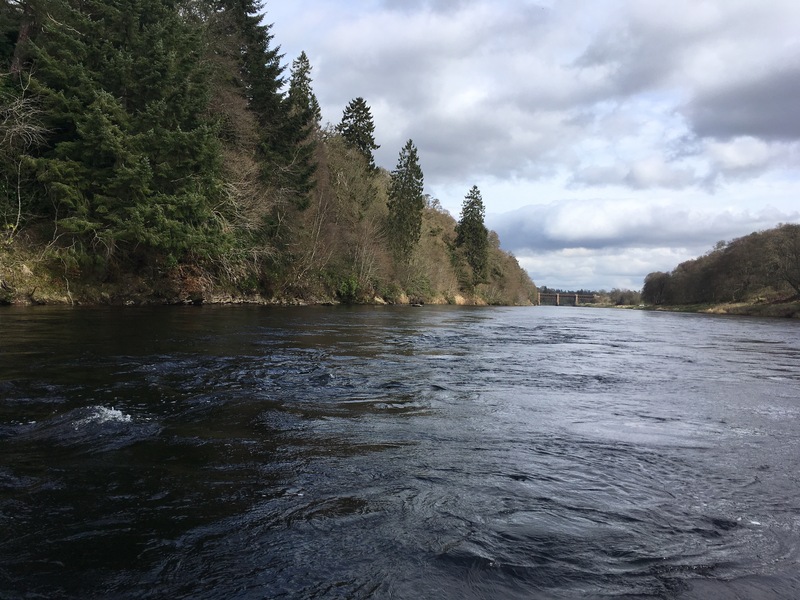 Sheer excitement and the anticipation turned into reality today when we fished the Lower Tay on the Cargill beat, a part of the river known to be productive in early season. We booked a day with Tay Salmon Fisheries Company. 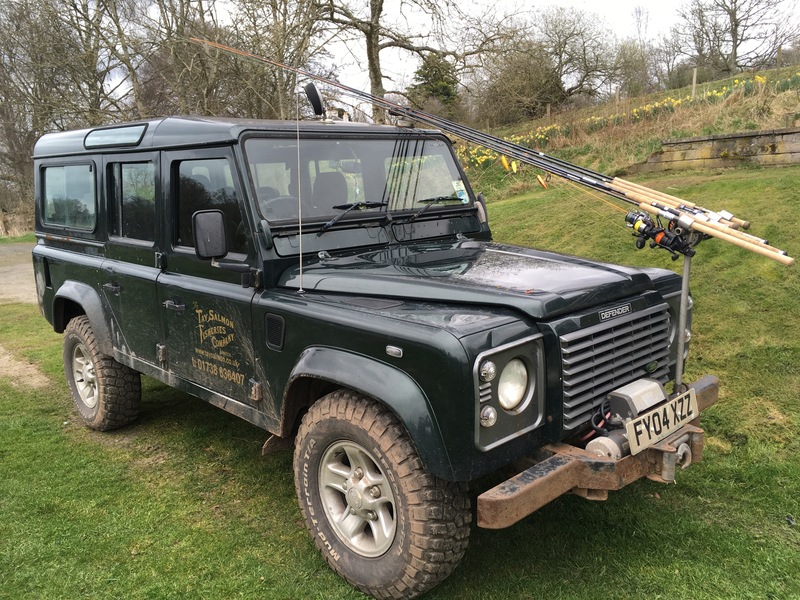 Guided by our knowledgeable Ghillie David we took to the water just after 9am and fished all day. Fishing with a copper Abu spinner and selection of flies our endovours to catch a bar of silver will have to wait for another year eluded today. 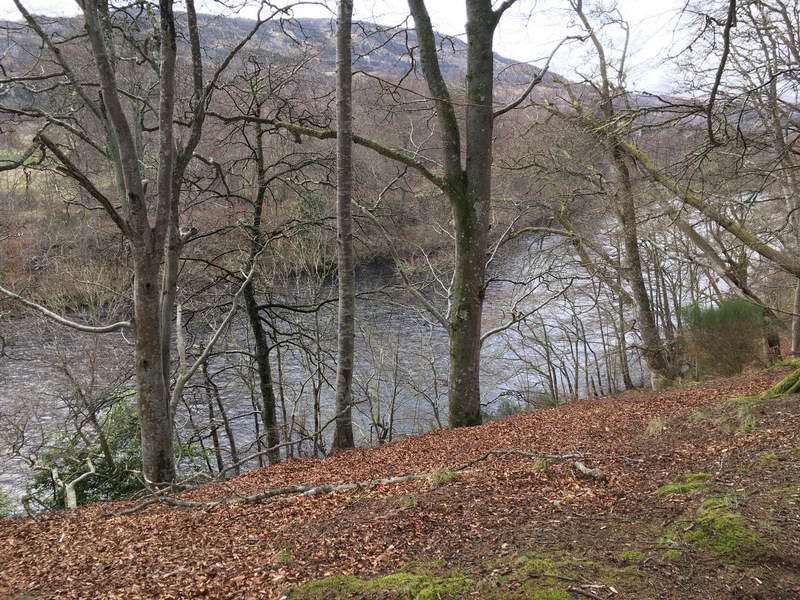 This popular beat opposite the imposing Ballathie House Hotel is booked up until the end of the season which ends in mid October so we’ll have to return next year. 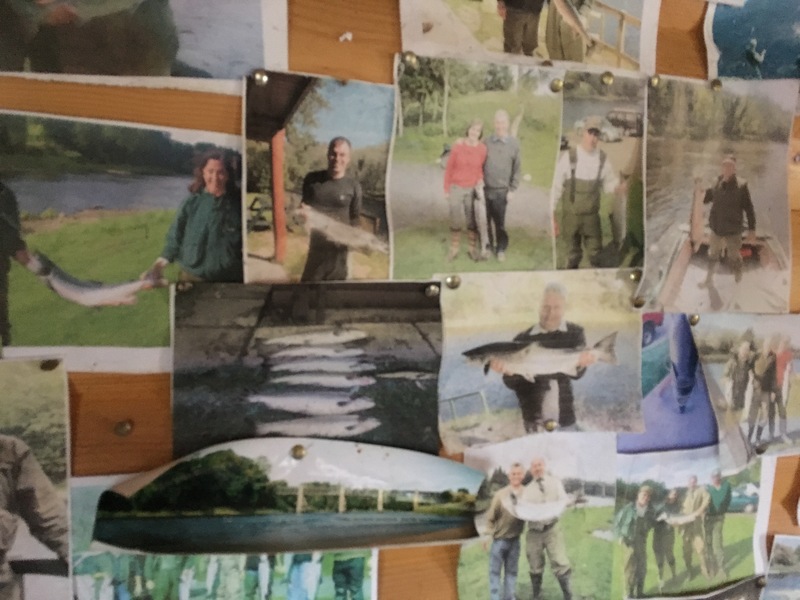 In the fishing lodge there is a wall of photographs capturing moments of triumph, prized catches of seasons past, memories captured on film. 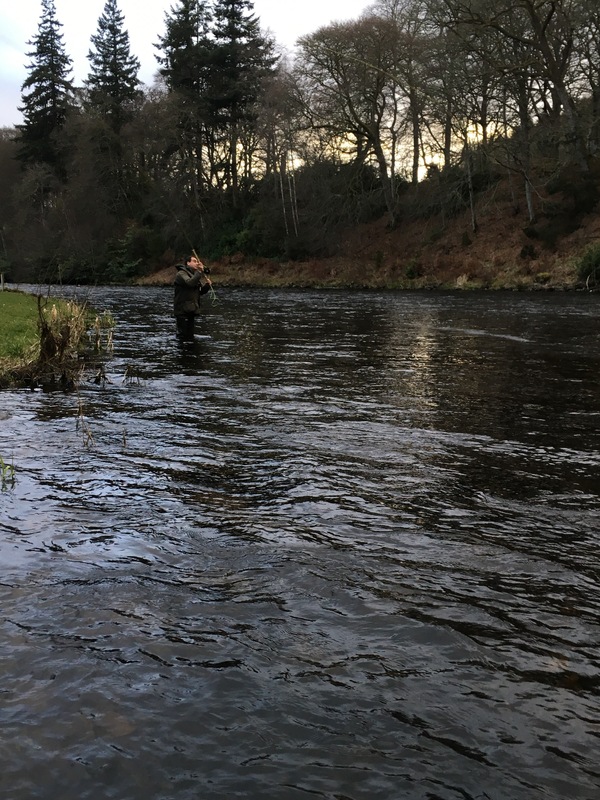 By late afternoon and having tried hard to allow young Tales the opportunity to play a fish we had to face the fact that it wouldn’t be this time so we packed up and moved on up river to Kenmore, the location for the opening of the season on the Tay. Hopefully tomorrow will allow another opportunity to catch a fish and create lasting memories of our time together which means so much to us. Let’s see what tomorrow brings. One thing for certain from what we’ve learned today a gold and brown Devon will be used. What did work today was a highly polished copper lure for one lucky fisherman.